Speakers on the day will be Colin Donnelly, Anne O'Leary and Eavanna Breen. Colin will be talking about depression, anxiety and mental health. He works as a personal trainer and is qualified in the field of personal training and gym and fitness instruction and nutrition. He runs his own business called U-fit specialising in the field of physical education for children, teens and adults who are on the Autism Spectrum. He works in schools across Dublin and also provides private individual training. He works with Dublin City council helping to promote health and wellbeing programmes to the special needs community. In his spare time he works as a volunteer for the organisation Aware who offer support, on their telephone support line, to those suffering from depression and bipolar disorder. Anne is an anatomy and physiology tutor and she has skills in reflexology, bio-magnetic pair therapy and Smovey rings. She will give a short introduction and demonstration of exercises using Smovey rings. This is very beneficial as it can be used by people of all ages and abilities. The rings can be used for general fitness and for improving balance and co-ordination. Eavanna is the founder and director of Akina Beauty and Laser Clinic and is a trusted and respected skin and laser expert with 26 years of hands-on experience. She partners with her clients to help them think differently about how to approach their skin care. Working with clients to attain results that they previously hadn’t been able to achieve is her passion. She believes that great skin cannot be achieved with products alone but through a combined effort of lifestyle, diet, salon treatments and home care. The experience she has gained working with different skin types, skin conditions and numerous product ranges over the years is what sets her apart. She understands technology and keeps an eager eye on what is new to the beauty industry and how it will impact skin. Followed by celebrities such as Olivia Culpo, Eavanna has a deep understanding of her client’s needs and often combines different technologies to create unique results, making her the 'go to' person in Dublin for skin care. Manor House is a Health Promoting School. 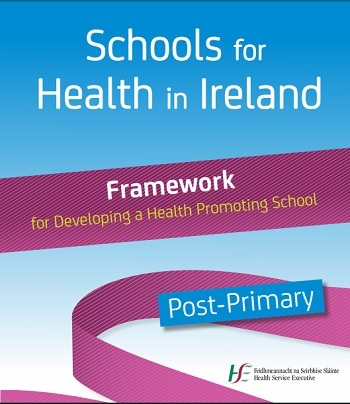 Our work is based on the publication, 'Schools for Health in Ireland: Framework for Developing a Health Promoting School, Post-Primary', which offers a framework to schools against which they can look at their school, assess health needs and begin a process of working towards better health for all members of the school community. Based on the responses we are currently working on increasing physical activity, promoting healthy drinks and supporting mental health. This is an on-going process. The Health Promoting School notice board is used to promote health and nutrition advice in school. The school community can stay updated on the HPS team and activities throughout the year on the Manor House Home Economics Blog. A Healthy Drinks Policy has been introduced, promoting water and milk as the only drinks in school, based on HSE recommendations. The students have been excellent at upholding this policy this year. The HPS student representatives have spoken to student assemblies about the work of the HPS Team. The Health Promoting School banners were erected inside and outside the school. The Step Challenge was run for the final term of last year, this was very successful. Awards were presented to the winners at 3rd year and 1st year assemblies. The Step Challenge continues this year. All students are encouraged to take part. Students can walk around the hockey pitch at lunch time, it takes 9 minutes to do the 1000 steps required and collect a stamp. Those with the most steps at the end of the year will receive prizes. First years have been amazing participants so far and may get a bonus reward for their participation! Guidance Counsellors are speaking to student assemblies. They will endeavour to do so at least once a term and will discuss topical issues that may be causing stress or upset, and remind students of the various supports available to them in school. Many parents and students requested that students be allowed to wear tracksuits to and from school if they have PE first class or last class.This is currently being trialled with two class groups before a decision is made. A plumber has assessed the toilets in the school and has suggested ways to improve the existing toilets. We will be running a Health Promoting School event for parents on 10 April 2019. We are grateful to the parents who volunteered to share their ideas with our school community in the area of nutrition, exercise, mental health and mindfulness. Please email s.johnston@manorhouseschool.com if you would be willing to help with future events. Also in the Spring time we will be raising our HPS flag, further details to follow. Click here for details about the three speakers at this event. Please join us for an interesting morning!